1.) Cracks lead to holes – If you haven’t already, it is time to put up screens on all of your windows, allowing fresh air to enter your home. After putting up screens, make sure to step outside and look at the border of all your windows. This is a common step that homeowners forget to do and with the freezing Minnesota winters, the caulk surrounding your window can often times get ruined. 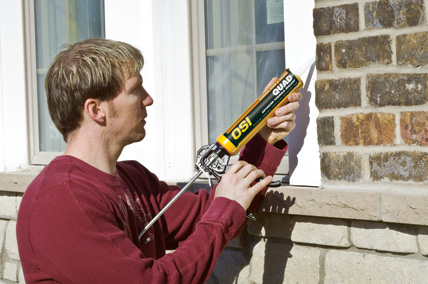 To fix, simply walk around your home with a bottle of caulk refurbishing any areas that may need assistance. 2.) Keep knockin’ – After a long winter it’s no surprise your front door feels a little lackluster. Restore the luster of your door by polishing the hinges and knobs with polish. 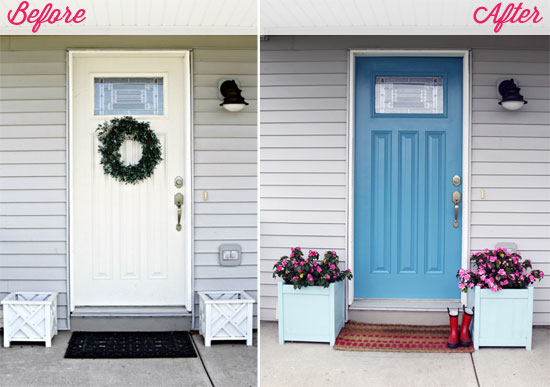 Paint or stain the door with a color that stands out, yet also complements the trim and siding. To top it off, put out a clean, new welcome mat! 3.) 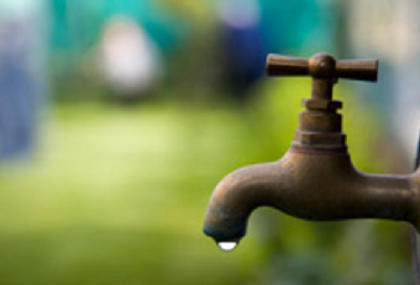 Check your flow – Inspect outside hose faucets for freeze damage. Turn the water on and place your thumb or finger over the opening. If you can stop the flow of water, it is likely the pipe inside the home is damaged and it will need to be replaced. 4.) Breathe deeper – Have your air conditioning system serviced. Remember that dirty filters make your air conditioner work harder, increasing energy costs and possibly damaging your equipment. 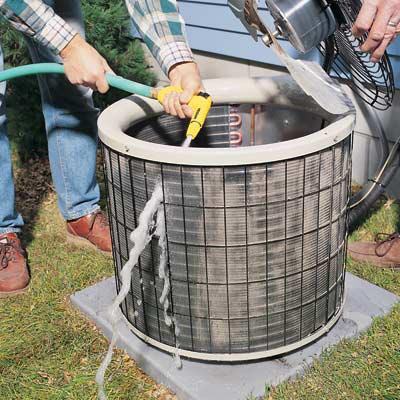 As a general guide, check the filters at least every three months and replace as needed. Here at Creative Custom Builders, we take great pride in building the home of your dreams. Once we have completed our project we do our best to make sure to give you the tips and tricks to keep your home in the best shape possible. These four tips will take a giant burden off our shoulders for the coming months knowing that your home is prepared for whatever Mother Nature has to offer!